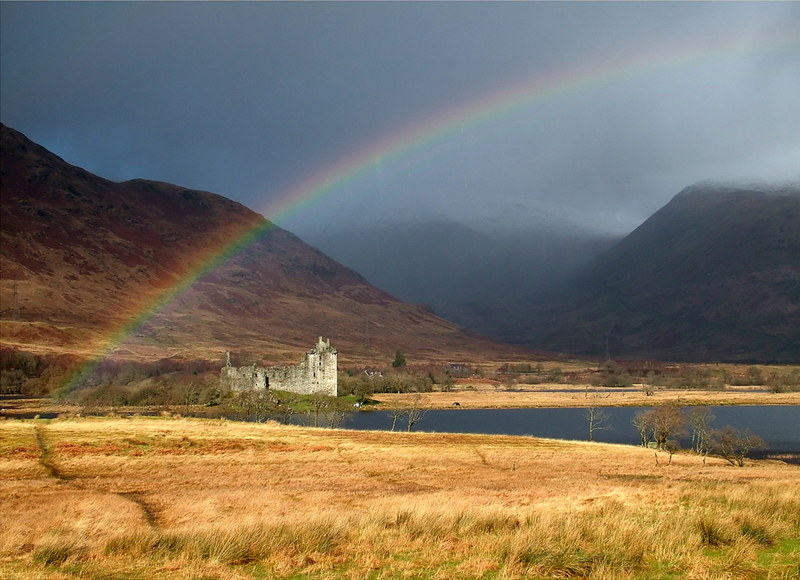 Kilchurn Castle is a 15th century caste on the banks of Loch Awe. It has a 4 storey tower which was added in the 17th century by Sir Colin Campbell of Glenorchy. There are spectaculars views of the castle from the busy A85 main road to Oban from the South, which runs on the opposite side of the loch. This means it is one of the most photographed castles in Scotland. The castle itself is accessible by boat.